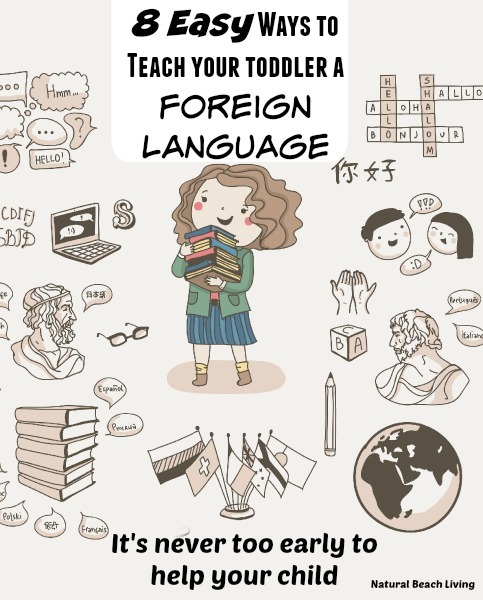 Isn’t the thought of teaching your child another language exciting? If you have a baby or toddler at home now is the perfect time to start. 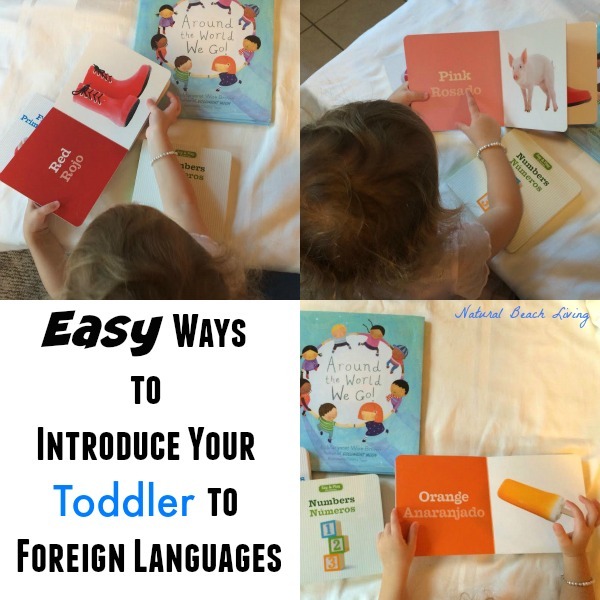 With language developing (as far as them speaking) around 10 months you can get an early start introducing other languages. Don’t forget sign language, we started signing at a very young age and they could easily tell me the basics of what they needed. Milk, please, thank you, more, hungry… Start with the easy words that you use often and your toddler will soon be a bilingual or multilingual learner. First I hate to state the obvious, but if you or anyone else in your family speaks a different language please speak it to your child. The more they hear it, the easier it is for them to speak and understand it later on. Toddlers pick up language skills so fast at this stage, so it is the perfect time to use your skills. Have a few good bilingual books at home for you and your toddler to read and explore together. 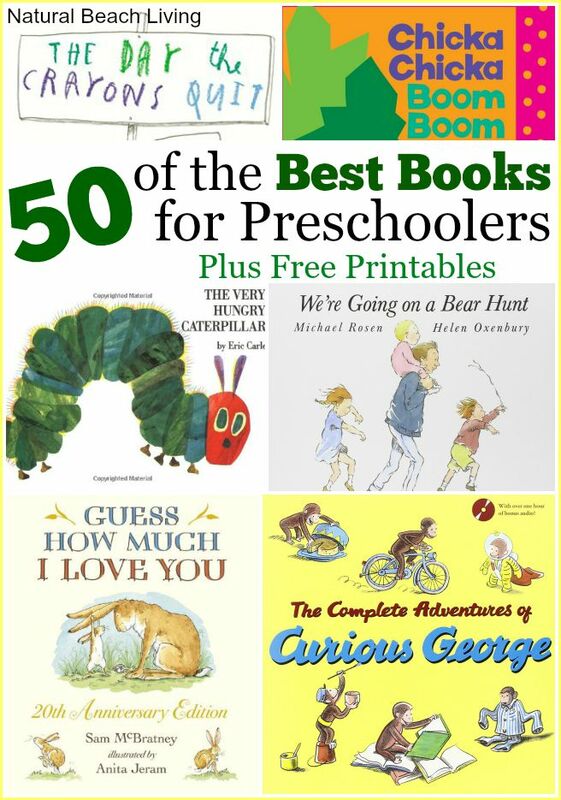 A few of our favorites are First Words, Oink, Moo, Meow, Colors, Around The World We Go, My First Spanish Body Board Book, and First 100 Words Bilingual. 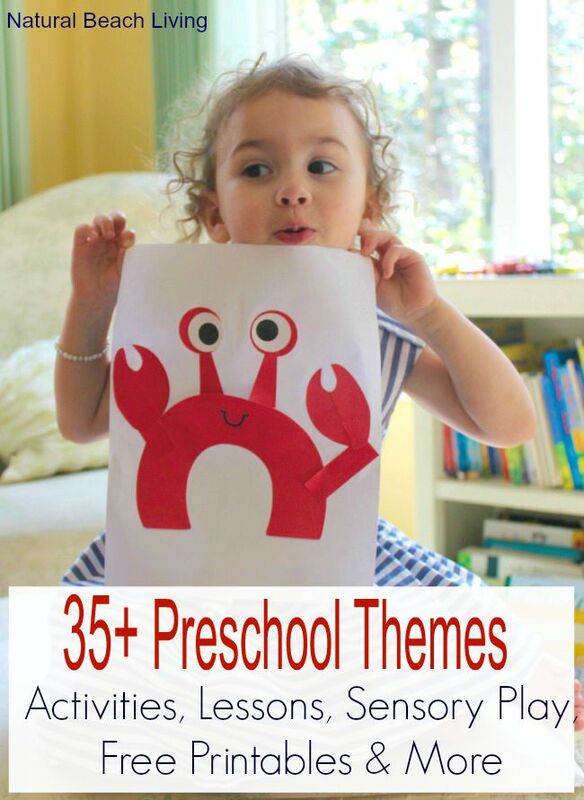 Use easy toddler puzzles for fun ways to name common words, shapes and for counting. If you have Amazon Prime or want to join: Join Amazon Prime or Start Free Trial Now all of Little Pim movies are FREE. I’m not big on using videos to teach, but if you allow your little ones a little tv time why not make it educational. If you don’t have Prime but are still interested in a video series check out Dino Lingo and Signing Times. Bring music with different languages into your home. Welcome the difference by dancing and singing along. Songs in French for Children is one of our favorites. Make up labels and put a few around the house at their eye level. 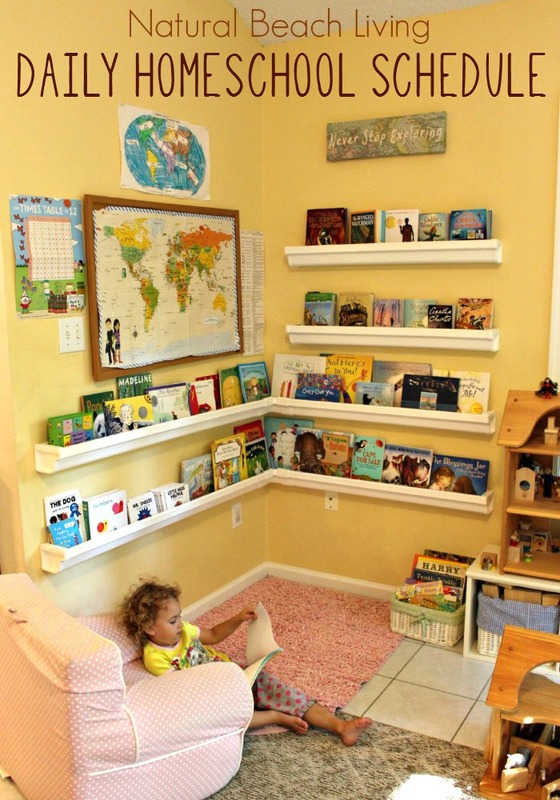 Words like door, stairs, window, and books(on a bookcase). This is great for word recognition. I put English and Spanish/French on our labels (of course you can put whatever language you want). Exposing your child to a different language will help him to learn about other cultures. 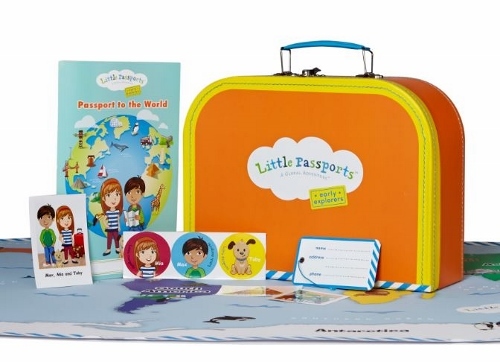 Perfect timing to travel the world with Early Explorers where your children can not only hear different languages, but see and learn about so many different cultures. Check out my complete review here. 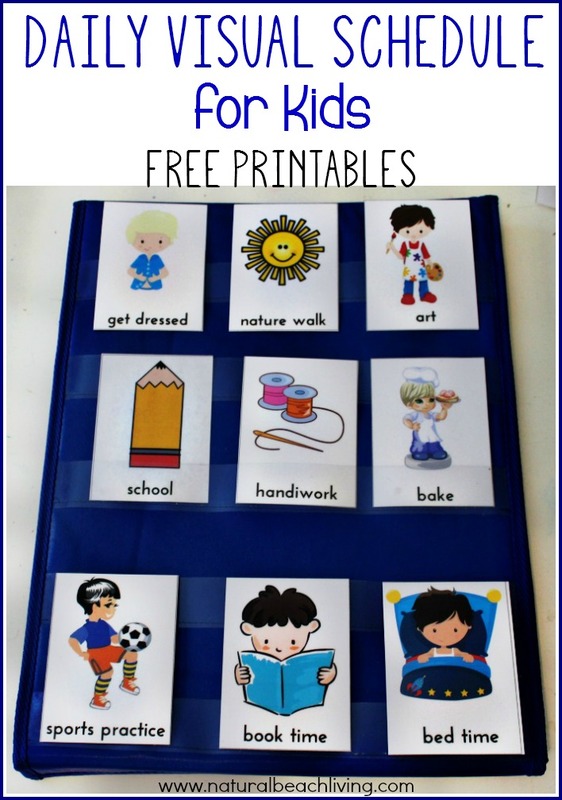 With all of this said, and all of these great ideas I am sure you can imagine how wonderful it is for your child to be bilingual. I still want to share a few facts with you, so here goes. Did you know that adults that are proficient in two or more languages have enhanced cognitive ability? Experts say that a person that is bilingual has a quicker thinking brain and picks up language skills much faster. I myself have always been fascinated with people that speak different languages. I spent several years in school learning Spanish and it didn’t come easy, but I still work hard at sharing my love for languages with my kids. We work together at learning about different cultures and languages and I know I am setting them up for success for their future. Thank you so much for visiting. If you like what you see here and I hope you do, subscribe by e-mail so you don’t miss the great things coming soon. Great post! Thank you so much for listing the resources! It’s ironic that we are Asian and yet we know very little Chinese. As a result, my kids are totally English-only, and it frightens me to teach them a language that I myself know very little. I think I should at least start with a little, your post has given me the push. Thanks! Yay!!! Thank you, I’m so glad you liked it. Thanks for listing some great resources! Great ideas! We started our son with baby sign language before his 1st birthday. It was a great way to communicate with him at that age. He still signs “please” sometimes at almost 4 yrs old. 🙂 His paternal grandparents speak Portuguese, but he hasn’t really picked it up, and unfortunately I haven’t come across any Portuguese language children’s books. We love signing too 🙂 Portuguese probably isn’t very easy to come across but if you have it in the family that is awesome 🙂 Lucky you! Some really good ideas. My daughter loves to speak Spanish. She only knows a few words, but I try to encourage her. You are truly giving one of the greatest gifts to your children! Children are like little sponges with language. What is can be a struggle for an adult, is natural and easy for children. When I was an elementary teacher I had many non-English speaking students, who were completely fluent (with no accent) after one year. I wish I could do that! Unlike most of the rest of 1st world countries, the US doesn’t place foreign language learning as the priority it should be. Your kids WILL thank you in the future! Thanks for such a helpful post! I love signing with my littles starting as babies. It helps to avoid so many meltdowns that happen because they can’t communicate what they need. 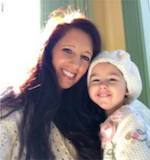 It turned out to be a Godsend with my special needs three year old. I’ll definitely be checking out some of these tips to start including another spoken language to our day! We are starting to work more on Spanish now! 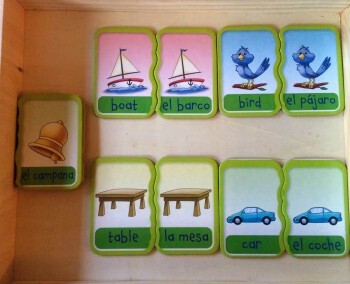 I wish we had done more work with Spanish when my son was younger. We had an audio program, but I didn’t use it enough. 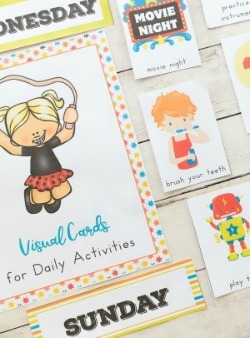 These resources look great! My daughter is very interested in other languages all of a sudden. And she picks it up so quickly too! I’ve spent months trying to learn even basic French and still struggle – kids are just naturals at this! I had to smile when I saw what this post was about. We speak a total of four languages in my home at any given time – it is kind of madness. There are two primary languages (husband and I are from two different countries), and our son can speak and understand them equally. In between, he’s also saying random words in English (language my husband and I speak to each other). And there’s the language spoken in the country where we live. My super long point is: I’m really seeing how important teaching another language is, especially in our case. So! Thank you for the tips!